This week took place at Dajuma the wedding of Melinda and Andrew. 68 guests celebrated this union in Dajuma’ garden. After the wedding vow declared by the bride and groom in front of the witnesses, they exchanged their rings. The weds accompanied by their families and friends were then invited to the beach to enjoy a sunset cocktail party, while signing their wedding certificate. A delicious dinner was served followed by a live music and some surprise videos from their friends displayed on screen, all in a very festive and warm atmosphere. 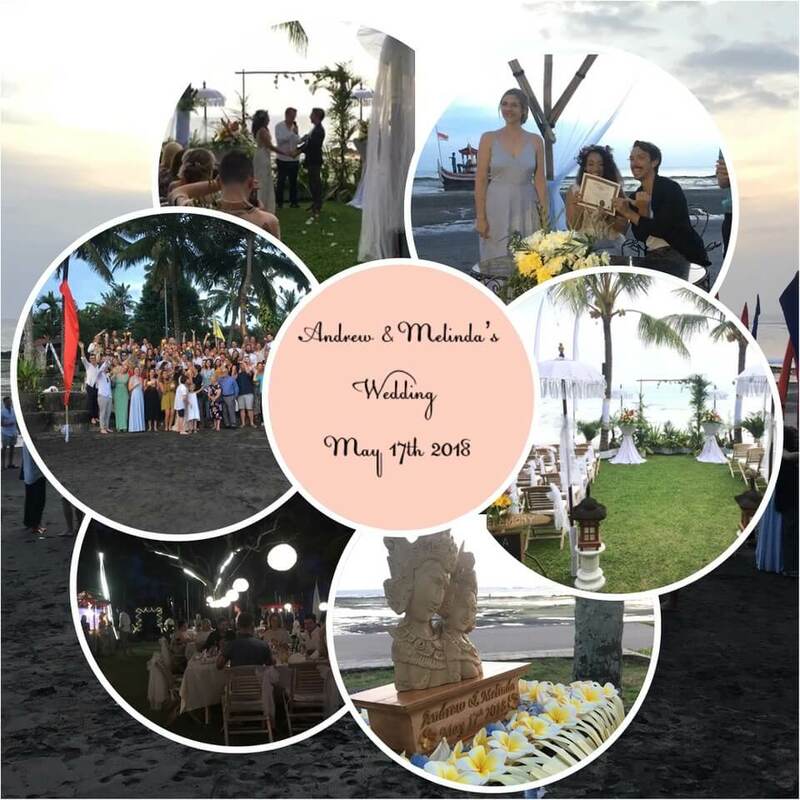 Our sincere congratulations to Melinda and Andrew! Thank you for having chosen Dajuma for this so important event in life!